The classic Italian dish of risotto is a blank canvas for flavours, but seafood ingredients work particularly well. Read our guide to making a basic risotto then elevate the humble dish with seafood ingredients such as prawns, lobster or mussels. 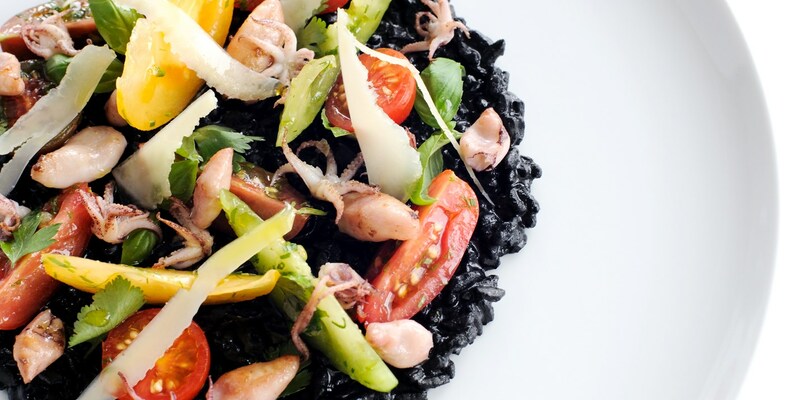 Browse this stunning collection of seafood risotto recipes, including Andrew Mackenzie's squid ink risotto, Mark Dodson's smoked haddock risotto, and a grilled prawn risotto from Pascal Aussignac.